Anti-Kickback Investigations Defense Attorneys - Oberheiden, P.C. Unlike most industries, the healthcare industry is heavily regulated, and kickbacks (payments for referrals) are not permitted. Anti-Kickback investigations should be taken very seriously and may result in civil or criminal charges. The Federal Anti-Kickback Statute (42 U.S.C. 1320a-7b(b)) prohibits knowingly providing, soliciting, or receiving any remuneration in exchange for a referral of a patient who is a federal healthcare beneficiary or for arranging for the purchase of any medical item or service for which a federal healthcare program pays. Violation of the Federal Anti-Kickback Statute may result in civil or criminal penalties. Criminal penalties include a sentence of up to five years in federal prison for each violation, as well as probation and criminal fines of up to $25,000. Civil penalties include civil monetary penalties of up to $50,000 per violation and reimbursement of treble damages for any losses sustained by the federal government. Doctors, pharmacists, and other healthcare professionals often underestimate the severity of a kickback investigation and wait to seek legal representation; however, waiting too long can be a huge mistake. By the time you learn about the government’s investigation, federal investigators have most likely been gathering information about you for months or even years. That means that the government investigators have a huge advantage over you in terms of knowledge and time. The sooner you start taking action to defend yourself against the investigation, the sooner you can start building your own defense and pushing back against the government’s efforts to build its case against you. You should never speak with investigators unless and until you have a lawyer present. Even if the investigators tell you that they are only speaking to you as a witness to the investigation, you should assume that you are actually a target or a potential target. Federal investigators often approach the targets of their investigations for interviews before revealing to them that they are personally under investigation. This tactic is used to catch targets off guard and without counsel for the purpose of leading the targets into making incriminating statements that can be used against them in the investigation and in court. The safest action to take if you are approached by investigators is to confirm your identity and politely decline the interview. If you are under investigation for kickbacks, you will be doing yourself a favor by refraining from talking about your case to anyone other than your attorney. Anyone with information about your case, including your friends, family members, and colleagues, may be subpoenaed to testify about that information in court. Furthermore, government attorneys may subpoena communication records, such as phone records, emails, text messages, and voicemails, to use as evidence in court. Government attorneys may likewise subpoena records of social posts and communications to use as evidence against you. Therefore, any details about your case which you share publicly or privately may become evidence in the government’s case against you. Investigations into kickback schemes typically involve more than one target. For example, if investigators suspect a pharmacy of paying kickbacks to doctors for referrals, the investigation will target the pharmacy as well as any doctors suspected of receiving the kickbacks. Once you learn of the other individuals and/or entities involved in the investigation, you should limit or discontinue any further business and communications with them. Sometimes it is necessary to formally terminate a contract or agreement that may implicate the Anti-Kickback Statute, but other times it is best to simply cease all contact. Other targets may have agreed to cooperate with the investigation and may attempt to set you up to incriminate yourself by wearing a wire or recording phone calls. Even if this is not the case, you are likely being monitored by investigators, and you should proceed with caution when interacting with other targets of the investigation. Usually it is best to let your attorney coordinate with the attorney of the other target. Although destroying incriminating information or documents might seem like it will help your case, it is a crime and may subject you to criminal prosecution independent of and in addition to whatever charges you may receive pursuant to the kickback investigation. Government attorneys consider destroying any evidence – including evidence that has never been requested by prosecutors – to be obstruction of justice, which is punishable by up to five years in prison. Destruction of evidence includes altering or deleting electronic files – including text messages, emails, and voice mails, destroying or throwing away hard copies of documents, and breaking or throwing way electronic devices that may contain information, such as computers or mobile phones. To protect yourself, you should make sure to turn off any auto-delete programs on your electronic storage systems and give instructions to any of your employees to preserve all files and documents. Do Not Wait! If you are under investigation for kickbacks, the sooner you hire a lawyer the more likely you will be to optimize the outcome of the investigation. You do not need to wait until you are charged to obtain legal representation. Federal Practice. Kickback charges are brought in federal court, so you want an attorney that has experience with federal cases and federal procedures. Industry Knowledge. You want an attorney who is well-versed in both health care laws and the health care industry. You do not want to have to explain to your attorney what the federal Anti-Kickback Statute is; you want someone familiar with safe harbors and their practical application in your field. Specific Experience. 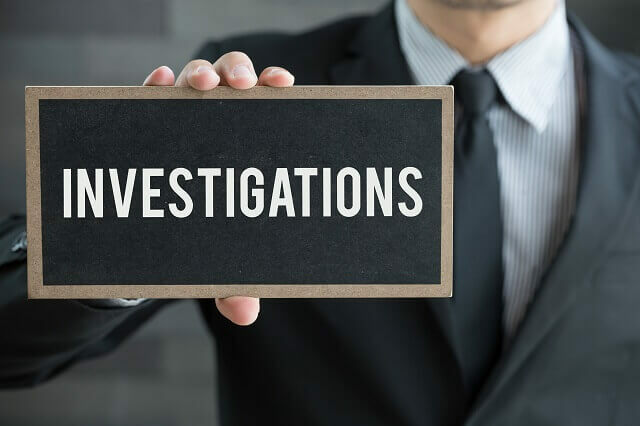 As investigations into violations of anti-kickback laws may be civil or criminal, you want an attorney who has enough experience with kickback investigations to determine early on whether you are being investigated civilly or criminally. Experienced in healthcare fraud defense, Oberheiden, P.C. represents doctors, pharmacists, and other healthcare professionals across the country undergoing kickback investigations. As former federal healthcare prosecutors and veteran health care defense attorneys, Oberheiden, P.C. understands both sides of kickback investigations and uses that knowledge to achieve successful outcomes for its clients. If you are under investigation for kickbacks, contact Oberheiden, P.C. today for a free and confidential consultation with one of our attorneys.